I authorize Rocky Mountain PBS to make use of my name, likeness, voice, performance and property(ies) in the program/series (hereinafter “the Production”) SUPER SCHOOL NEWS and for the purpose of publicizing and promoting the Production. I further authorize Rocky Mountain PBS to edit the Production, in whole or in part, for radio and television broadcasting, cable casting, audio/visual, closed-circuit exhibition, Internet and all other electronic and mechanical distribution throughout the world in perpetuity. Rocky Mountain PBS shall have complete ownership of the Production, including full domestic and foreign copyright, and shall have the exclusive right and license to make such use of the Production as it wishes, including (but not limited to) the right of performance, display and reproduction and the right to create, perform, display and distribute derivative works of the Production. The right to use these recordings is understood to include the right to make alterations or additions to the recordings and to register the copyright(s) for the recording(s). 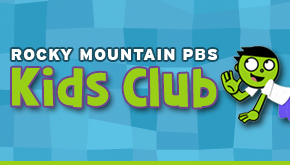 I also understand that Rocky Mountain PBS has no obligations to use the recordings. My work in the Production shall be a work made for hire under the copyright laws of the United States; to the extent that my work cannot be considered a work made for hire, I assign all rights and title, including all copyright rights in the Production and its derivative works, to Rocky Mountain PBS. If by reason of my statements and actions in the Production or by reason of property(ies) or material(s) furnished by me for the Production, there is any claim or litigation any charge by a third party of violation of his/her rights, I agree to hold Rocky Mountain PBS harmless from liability, loss or expense arising from such claim or litigation. I further agree that my appearance in the Production constitutes consideration for this release. I agree that I have reviewed the Privacy Standards of my school or district and these standards will apply. If it should become necessary to alter the normal on-screen identification of my child in the production, I will inform the teacher and the Super School News Volunteer immediately, so that special arrangements can be made. I also agree that I am to receive no monetary consideration for my appearance or participation in the Production, and will receive no compensation from the broadcast or other electronic distribution or sale of the Production. I represent that I am 18 years of age and have the right to enter into this agreement or if under 18 years of age, my parent or guardian has executed this release on my behalf. In order to complete the online release form, you must have access to a printer. Confirmation emails should be printed and delivered to your student's Super School News faculty advisor. By checking this box, I agree to the Rules and Conditions outlined above.